Are there anyone that can check if the Z80 code actually work? I suspect that if you formatted the code, it would become instantly readable.
? there are one label so what is the difference? Maybe convert it to C first? It might be easier to debug. Sure, simulating the carry flag will take some work. Sometime google is your freind. Both links come with code examples. While I have not looked in detail at the code above, Do you know how the system represents floats and how they are passed in. Or do you have a good understanding of fixed point or BCD numbers and their respective libraries. I also am not seeing the label Rand: is this your code or are you calling the libraries rand() function that implements the prime polynomial? Also most ASM uses ';' for comments. the C++ slashes '//' make the code hard to read. I still get a laugh when I remember one of my classmates commenting the ASM code by spelling out each instruction mnemonic. When documenting ASM code (which is an art) you are explaining to the reader and your self later, what the code does, not what the code is. Edit: corrected auto spill check. 'Pnuemonic' - did he have trouble breathing? Or was he posessed by air? Well, i converted the code to C to make it easy to analyze the pseudorandom sequence that is generated. I think it is correct, I didn't test against the Z80 code, but it does seem to generate the same numbers as the AVR code, so my guess is they are indeed all equivalent. My conclusion is that this is a crappy pseudorandom generator, with no real mathematical basis, just some guy thinking he was clever but did not actually look at the numbers generated. I did. A good 16 bit sequence will contain all, or at least most, 16 bit numbers. This one contains only 306 numbers. I seeded it with one of the numbers in the sequence for illustration purposes. If you seed with a number that is not in the sequence, it will eventually settle in the sequence anyway. Or maybe settle in a different short sequence. Anyway, this is not a good algo. I recommend the linear feedback shift register method, like I mentioned in a recent thread. The congruence method is fine, but computationally very intensive, I wouldn't use it in a 8 bit MCU. #6 They are all at least 32 bit. This code "if it works" use only simple 16 arithmetic for a 16 bit number. Rand: is this your code or are you calling the libraries rand() function that implements the prime polynomial? So aren't there any that can check is the Z80 code actually works, or point to a simple Z80 assembler and simulator? Let me see, Z80... maybe a Game Boy or ZX Spectrum emulator could be used. There are 2,100 other polynomials for maximal length 32-bit LFSR which require XOR on only 2 bytes, and over a quarter of a million polynomials which require XOR on only 3 bytes. The remainder of the maximal length 32-bit polynomials (over 67 million of them) require XOR on all 4 bytes. I now work with pneumatic pipe organs. Some pipes which are white noise random generators. I was just looking for that page this morning, thanks, Joey! But then there are some thing we don't get because the special thing with this code is that it should go thru all 2^16 combinations, and not the normal 2^16-1 . and I just made a quick AVR version and that (I'm good at 6502 ASM), at that worked fine and 2^16 rounds between the same numbers, so I guess that I clean it up and post it here. EDIT: There are no polynomials for a maximal length 16-bit LFSR which require only one XOR operation. EDIT: There are no polynomials for a maximal length 16-bit LFSR which require only XOR operation. I know , and the 6502 make a special case so 0 can be used. But I guess that I should look into 24 bit LFSR aswell . So you mean, force the zero into the sequence. I would insert it after '1', then, after zero the sequence would continue like the normal sequence after one. edit: oops, of course the code won't work like that. But I get the idea, I think. all full length LFSR can't use 0. Those 6 are even there in my own library! ok if any interest here is the small ASM program. It go through all 2^16 combinations so no seed are needed. r3:r2 is the random number. Except you shift left instead of right. So the polynomial needs to be bit-reversed w.r.t. @koopman's polynomials. Curiously, you've stumbled upon the one maximal-length 16-bit polynomial for which that doesn't matter, because BD in binary is palindromic. In your code above, you're XORing with 0xBD, so the left-shift polynomial is 0x00BD, or 0b0000000010111101. This makes the right-shift polynomial 0b1011110100000000, or 0xBD00, equivalent to the left-shift polynomial. ... and used it without modification (i.e. without reversing the bits) then you would not have had a maximal-length LFSR. I just made a copy of one of the numbers in the link in #16, where high byte was zero. Then you got lucky ;-). 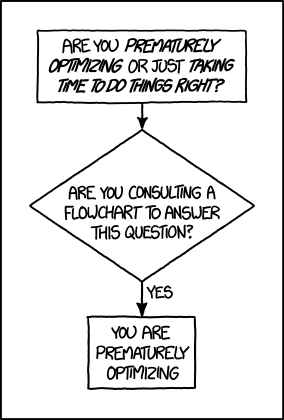 So they are for a right-shifting algorithm, whereas you've implemented a left-shifting algorithm. Both are correct, but a given polynomial for one is the mirror image of the equivalent polynomial for the other. So quite the unintended prescience you showed by choosing the only palindromic polynomial out of the bunch! The hole thread was that I wanted to implement a simple 2^16 random generator so no seed was needed, and I found the one in #1 but never got it to work. The code in #16 I got to work without any problems (first with a kind of 1 to 1 translation from 6502) I made an optimized version that is the one in #23. I always used a 39-bit MLS with 5 registers as there are two taps 8 apart so you can do a byte-wide XOR and get 8 shifts at once. I think that you have to learn AVR ASM! same with movw r16,r26 this is a 16 bit move of seed (that is 16 bit), you suggest a 8 bit move (if your AVR don't have movw you had to use mov r16,r26 and mov r17,r27 that do the same job). Now, that is the Atmel assembler syntax, and sparrow2 might be using the Gnu assembler, which is slightly different. And I guess that we all know how bad atmel is about documents. So it's only the school kid that make the manuals that must have made cut and paste from the absolute first atmel compiler. Or Atmel simply provided an inadequate change document to the technical writers. I've beaten up on the technical writers before, but really there's no justification to conclude it's their fault and target them specifically. The enterprise shoulders the blame. At least there should be someone that proofread what comes out! Interesting. I suspect that a lot of this is because the people (HW engineers?) who tried to define the assembly language, didn't actually understand much about writing an assembler. Or rather, they get oblivious of the two competing STYLES of assembler, that go back at least to the Intel vs Zilog mnemonics for the 8080/z80. Most machine languages have an "opcode" field and some argument fields. And most assemblers have an "instruction" field and some "operand" fields. lxi  B, reg1   ; move immediate val to register pair. lda  memaddr   ; move memory from memaddr to acc. The AVR "adiw R25:R24, 1" syntax has both a unique instruction name AND an operand syntax that identifies the instruction as a 16bit add. An assembler doesn't need both. My guess is that for the assembler : is a normal letter (not used for anything I know of). Ups to fast it's the label "marker"